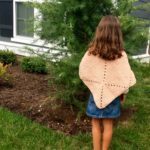 This easy poncho crochet pattern is a cute poncho to crochet for your little girl’s doll. 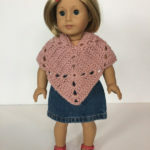 Sweet and simple, this modern style poncho will look great on her American Girl or other 12-18″ doll. A fun way to match outfits with her doll! This modern easy doll poncho crochet pattern adds style to her doll’s cold weather attire! I created this poncho crochet pattern to be a modern take on the granny square. It works up quickly and easily with the repeating stitch pattern. The pattern is written to fit a 12-18″ doll. 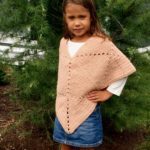 The Meadow Poncho crochet pattern is also available in girl sizes so that your little girl and her doll can match! Use coupon code meadowcombo when purchasing both girl and doll size patterns. 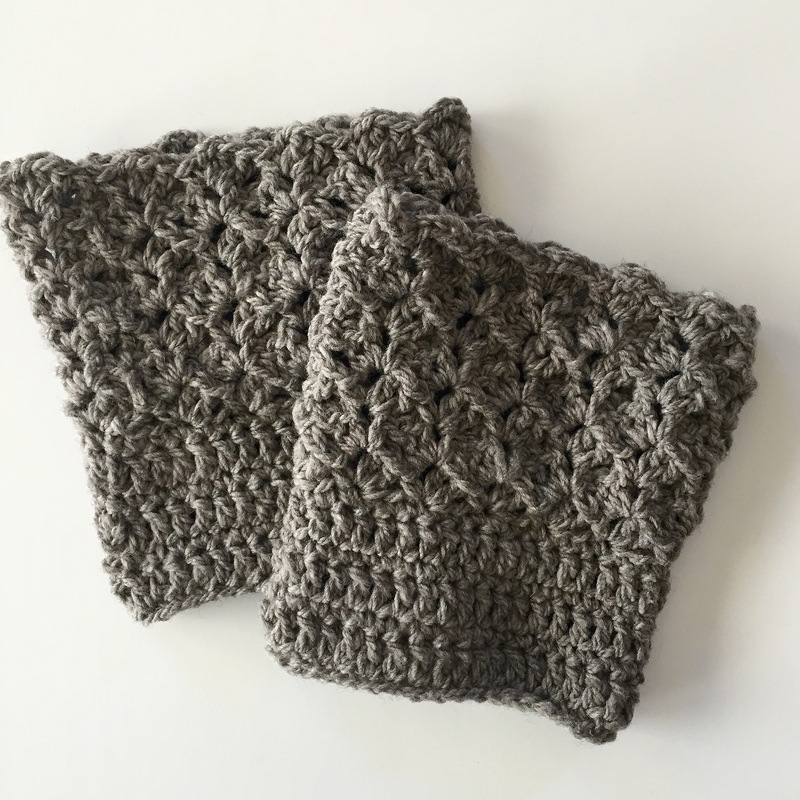 You’ll need an I crochet hook and your favorite DK or worsted weight yarn. 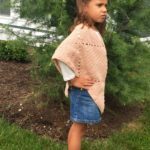 I made the sample doll poncho with worsted weight yarn – 56 yards of yarn. This pattern will be available for download as soon as you purchase it. Please log into your account to access all your Little Monkeys Design patterns. 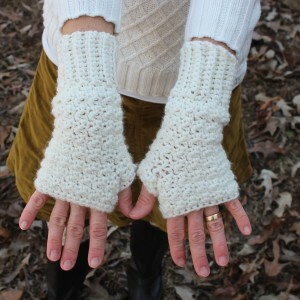 You will also receive an email with a download link for your pattern. Please look in your junk mail if you don’t see it right away. I’m here by email if you have any questions as you work on your crochet project.